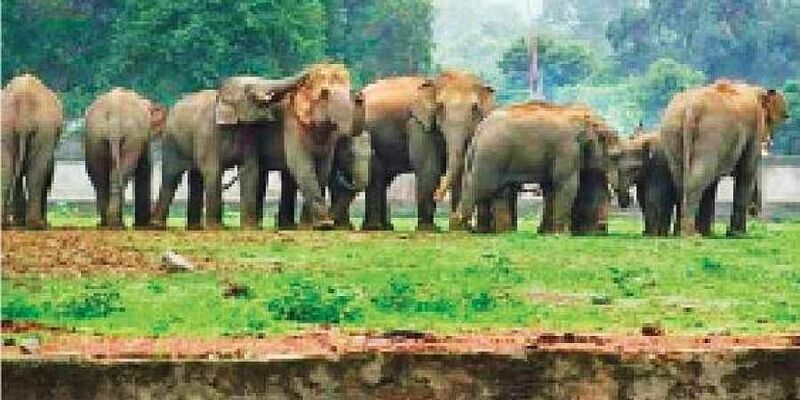 The incident took place on Wednesday night when 10 elephants were crossing the railway tracks near Sadar forest range and the empty goods train was heading towards Nayagarh from Jakhapura. BHUBANESWAR: The death of a female jumbo in Keonjhar due to train collision on Wednesday night has raised serious questions on the safety of elephants in the State. The incident has once again exposed the highhandedness of Forest department and Railways officials who seem to have not learnt any lesson from the past incidents. In a similar incident when four elephants were killed after being hit by a goods train in Jharsuguda in April, both the Forest and Railways authorities were engaged in a blame game holding each other accountable for the mishap. The situation this time is not much different. Both have come up with a clarification making it clear that they are not to be blamed for the incident. The office of the Divisional Forest Officer, Keonjhar in a statement issued to media said all protocols regarding the movement of the elephant near the railway track were followed and were intimated to the Railway authorities. The East Coast Railway (ECoR) authorities also came with a clarification that the speed of the goods train that collided with the elephant was well within the caution limit of 50 kmph as given by the Forest department and was found to be moving at a speed of 43 kmph at the time of accident. Amid the blame-game, many questions remain unanswered. During Jharsuguda train mishap, the Forest officials had stated that there is a clear instruction to the railway divisions across India to blow horn and restrict speed limit to 40 kmph in elephant corridors. In such a scenario, how a speed limit of 50 kmph was fixed for the goods train on the route in Keonjhar, wildlife experts asked. Besides, they questioned why Railways doesn’t have its own standard rules and regulations to restrict speed limits of trains in elephant corridors. The incident, they said, is a fallout of lack of coordination between the two departments as the Railways has control rooms at major elephant passages, while Forest department has also field staff in elephant corridors. Meanwhile, Odisha which has turned into a deathbed for the jumbos has lost five elephants due to train accidents so far this year. It has lost 10 elephants in a span of only 24 days between October 27 and November 21 due to electrocution, train accident and other mishaps.